Vintage Frames Company Dice N1 - Matte Black and Silver Need Help? The Dice is inspired by Andrew Dice Clay and classic low rider styling. 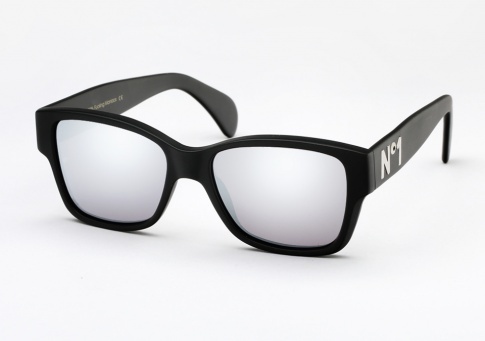 It fuses a timeless shape with a brash "No.1" done in silver metal on the left temple, it is then finished off with matching silver mirrored lenses.